Research consistently finds that a comprehensive approach to school safety, which integrates the best scientific evidence and solid implementation strategies, offers the greatest potential for preventing youth violence and promoting mental and behavioral health. However, schools and communities encounter enormous challenges in articulating, synthesizing, and implementing all the complex aspects of a comprehensive approach to school safety. This paper aims to bridge the gap between scientific evidence and the application of that evidence in schools and communities by defining the key components of a comprehensive approach to school safety and describing how schools can assess their readiness to implement a comprehensive approach. We use readiness and implementation data from the Safe Communities Safe Schools project to illustrate these challenges and solutions. 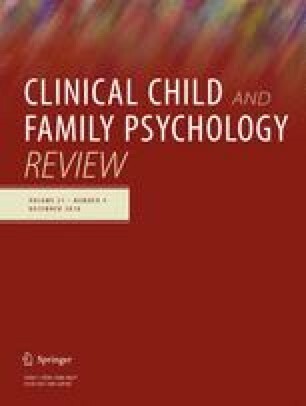 Our findings suggest that (1) readiness assessment can be combined with feasibility meetings to inform school selection for implementation of a comprehensive approach to school safety and (2) intentionally addressing readiness barriers as part of a comprehensive approach may lead to improvements in readiness (motivation and capacity) to effectively implement a comprehensive approach to school safety. This project was supported by Award No. 2015-CK-BX-K002, awarded by the National Institute of Justice, Office of Justice Programs, U.S. Department of Justice. The opinions, findings, and conclusions or recommendations expressed in this publication are those of the authors and do not necessarily reflect those of the Department of Justice. Funding was provided by National Institute of Justice (US) (Grant No. NIJ-2015-4163). All data collection for this project involving human subjects has been reviewed and approved by the American Institutes for Research's Institutional Review Board (IRB), IRB00000436, Federalwide Assurance Number is FWA00003952. Blair, J. P., Martaindale, M. H., & Nichols, T. (2014, January). Active shooter events from 2000 to 2012. FBI Law Enforcement Bulletin. Retrieved from http://leb.fbi.gov/2014/january/active-shooter-events-from-2000-to-2012. Blueprints for Healthy Youth Development. (n.d.) Blueprints programs for healthy youth development. Retrieved from http://www.blueprintsprograms.com/. CASEL. (2016). Core SEL competencies. Retrieved from http://www.casel.org/social-andemotional-learning/core-competencies/. Centers for Disease Control and Prevention. (2016). Youth risk behavioral surveillance system, US, 2015. Morbidity and Mortality Weekly Report, 65(6). Retrieved from https://www.cdc.gov/healthyyouth/data/yrbs/pdf/2015/ss6506_updated.pdf. Centers for Disease Control and Prevention. (2017). School violence: Prevention. Retrieved from: https://www.cdc.gov/violenceprevention/youthviolence/schoolviolence/prevention.html. Collaborative for Academic, Social, and Emotional Learning (CASEL) (2018). Collaborating Districts Initiative. https://casel.org/cdi-results/. Colorado Department of Education. (2017). Colorado Multi-Tiered System of Supports (CO-MTSS). Retrieved from https://www.cde.state.co.us/mtss/mtssessentialcomponentsdefinitionsjune2016. Fixsen, D. L., Naoom, S. F., Blase, K. A., Friedman, R. M., & Wallace, F. (2005). Implementation research: A synthesis of the literature. Retrieved from http://nirn.fpg.unc.edu/resources/implementation-research-synthesis-literature/. Greenberg, M. T., Domitrovich, C., & Bumbarger, B. (2001). The prevention of mental disorders in school-aged children: Current state of the field. Prevention & Treatment, 4(1). Retrieved from http://journals.apa.org/prevention/volume4/pre0040001a.html. Interdisciplinary Group on Preventing School and Community Violence (2018). Call for action to prevent gun violence in the United States of America. Retrieved March 24, 2018 from https://curry.virginia.edu/sites/default/files/projects/Call%20for%20Action%20FINAL%20for%20DISSEMINATION%202-28-18%2011.09pm-3-14-18%20Corrections.pdf. National Research Council and Institute of Medicine of the National Academies. (2009). Preventing mental, emotional, and behavioral disorders among young people: Progress and possibilities. Washington, DC: The National Academies Press. Retrieved from http://www.nap.edu/download.php?record_id=12480. National School Climate Center. (n.d.) What is school climate and why is it important? Retrieved from http://www.schoolclimate.org/climate/. National Survey of Children’s Health. (2012). NSCH 2011/12. Data query from the Child and Adolescent Health Measurement Initiative. Data Resource Center for Child and Adolescent Health. Retrieved June 15, 2017, from http://www.childhealthdata.org. Office of the Child Advocate (2014). Shooting at Sandy Hook Elementary School: Report of the Office of the Child Advocate. Hartford, CO: Office of the Child Advocate, State of Connecticut. http://www.ct.gov/oca/lib/oca/sandyhook11212014.pdf. Positive Behavioral Interventions & Supports. (n.d.). OSEP Technical Assistance Center. Retrieved from https://www.pbis.org/school/swpbis-for-beginners/pbis-faqs. Ridgeway, G. (2014, April 11). Comprehensive School Safety Initiative: Dear colleague letter investigator-initiated research. Retrieved from http://www.nij.gov/funding/pages/fy14-dear-colleague-school-safety.aspx. Taylor, J., & Jones, R. (2017) LCFF local performance, & indicator: Update of school conditions and Climate Work Group (Priority 6). [PDF Document]. Retrieved from California Department of Education website: http://www.cde.ca.gov/be/cc/cp/documents/cpagfeb2017item03aslides.pdf. The Coalition for Behavioral Health. (2015). Unleashing the power of prevention. Retrieved from http://aaswsw.org/wp-content/uploads/2013/10/Unleashing-the-Power-of-Prevention-formatted-4.29.15.pdf. Wilkins, N., Tsao, B., Hertz, M., Davis, R., & Klevens, J. (2014). Connecting the dots: An overview of the links among multiple forms of violence. Atlanta, GA and Oakland, CA: National Center for Injury Prevention and Control, Centers for Disease Control and Prevention, Prevention Institute. Retrieved from https://www.cdc.gov/violenceprevention/pdf/connecting_the_dots-a.pdf. Woodward, W., & Goodrum, S. (2016). Report on the Arapahoe High School Shooting: Lessons learned on information sharing, threat assessment, and systems integrity. Retrieved from http://www.colorado.edu/cspv/publications/AHS-Report/Report_on_the_Arapahoe_High_School_Shooting_FINAL.pdf.